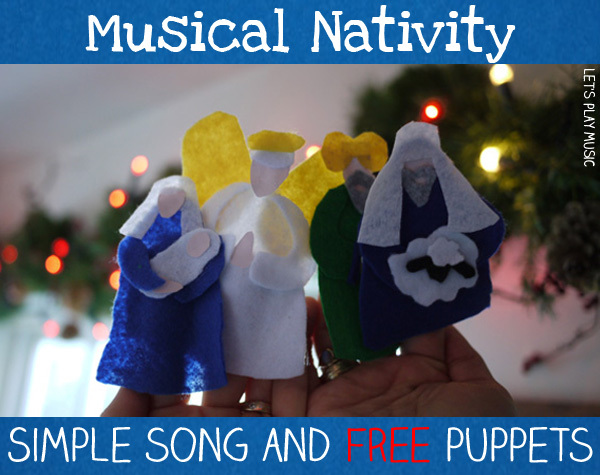 This very simple Nativity Song is a perfect way to introduce the Christmas Story to small children. 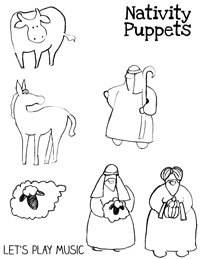 Especially when you use our free printable puppets templates to help tell the story while you sing the Nativity song. Even toddlers who might be too young to join in the singing will love to watch the musical puppet show and take everything in. The song is sung to the tune of In and Out the Dusty Bluebells – if you scroll down, the chime bar clip which will show you how it goes. All the way to Jesus. Followed the star to Jesus. To sa -ve u-s all. The be-st gift of all! 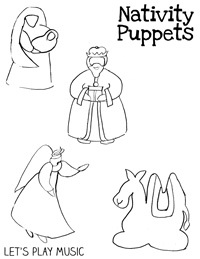 Use the the free printable puppet template to make the characters in felt. They can then be used either on a felt board or be made into finger puppets. If you do have the time to make them out of felt then they’re sure to be very popular over the Christmas period. 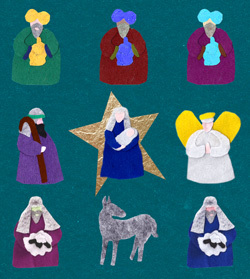 And it’s an ideal way to introduce the nativity characters to little ones. 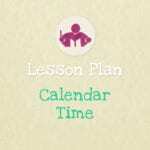 If you are planning a lesson and time is short, you could just make them into easy card stick-puppets – the kids really won’t mind a bit! 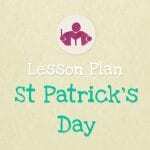 You could even print off the sheets and ask the children to colour them in first! For more songs that have free printable puppets, or can be sung alongside a puppet show, take a look at our Songs for Storytelling Series. 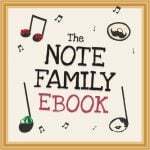 For more simple Christmas songs for young children, look no further than here! Many thanks for these bright ideas. Nursery rhymes are not obsolete… ! Singing is a must ! This website is just what I was looking for ! The lamb in “Mary has a little lamb” is so lovely ! Do you by any chance sell the pattern ?